Premise: A team of four contestants play a series of five rounds of brain teasers. The puzzles in the first four rounds of each game are based on the four zones selected out of The Brain’s six zones (logic, observation, memory, orientation, language and multi-tasking). The designated team captain chooses which teammate, including his/herself, plays in each round and each teammate is only allowed to play in one round during the main game. In each round, two puzzle games are played and a total of eight puzzles are shown (one trial run and three puzzles for each game). Each correct answer given adds three seconds to the team’s Brain Bank, which is carried over to the final round. 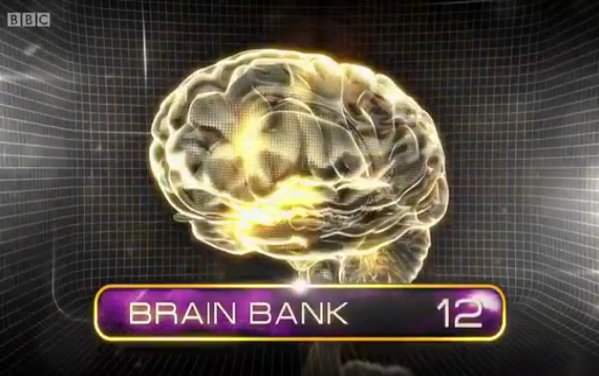 In the end game, all four teammates will have two minutes, plus the seconds earned in Brain Bank (maximum of 3:12 total), to correctly solve two puzzles each. The end game challenge is comprised of puzzle games they had already seen in the front game. If the team can solve eight puzzles correctly before the clock reaches the two-minute mark, the team wins the full £3,000 prize. If the clock ticks below two minutes, £25 will be deducted for each second that ticks off the clock. Once eight puzzles have been solved correctly within the time limit, the team wins the remainder of the bank. Otherwise, the team wins nothing. Game shows that directly pit contestants against the show’s antagonist(s) are always fascinating and mildly entertaining mainly because of the competitive and sometimes amusing interaction between the egotistical, sarcastic and seemingly omniscient villain(s) and contestants during the gameplay. This dynamic is what makes shows like The Chase, American Gladiators, Win Ben Stein’s Money and even GSN’s 20Q entertaining to watch and see if the day’s contestant(s) can emerge victorious against the stiff and nigh-invulnerable competition. BBC Two’s new daytime game show Beat The Brain has the similar intrigue as the other aforementioned shows along with its incredibly engaging gameplay. Beat The Brain has the type of format that is perfectly suitable for any viewer to watch with ease thanks to its brief and quick rounds and 30-minute format, almost similar to Countdown. 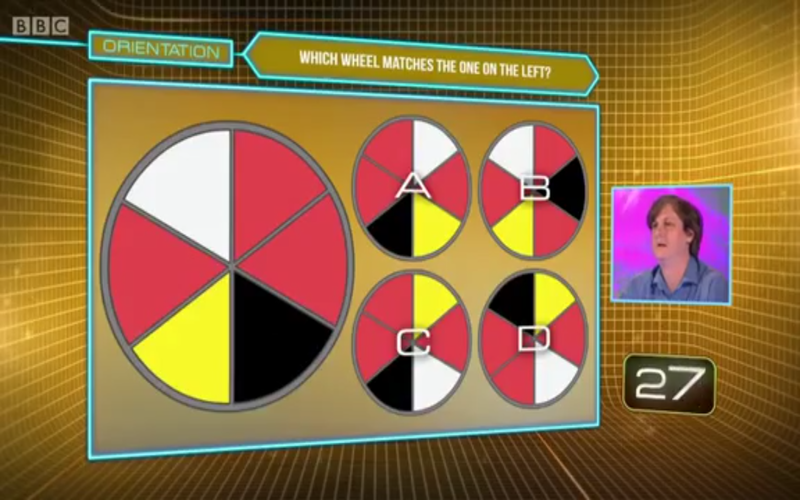 Each episode is filled with numerous types of challenging brain exercise puzzles (similar to ones you would see on video games like Brain Challenge and Brain Academy, that tests various mental skill sets including multi-tasking, memory, observation, along with the other ones I had mentioned in the Premise paragraph of the review. Like on Idiotest, the short time constraints used in most of the puzzles and adding a countdown money clock in the end game properly increases the difficulty for the teams and the suspense for the viewers as they wait and see how much of the £3,000 jackpot they will be able to retain before the clock hits zero. The show is also contestant-friendly in how The Brain allows each contestant who might be unfamiliar or unclear about how each puzzle works a chance to get their feet wet by solving one in an untimed trial run. 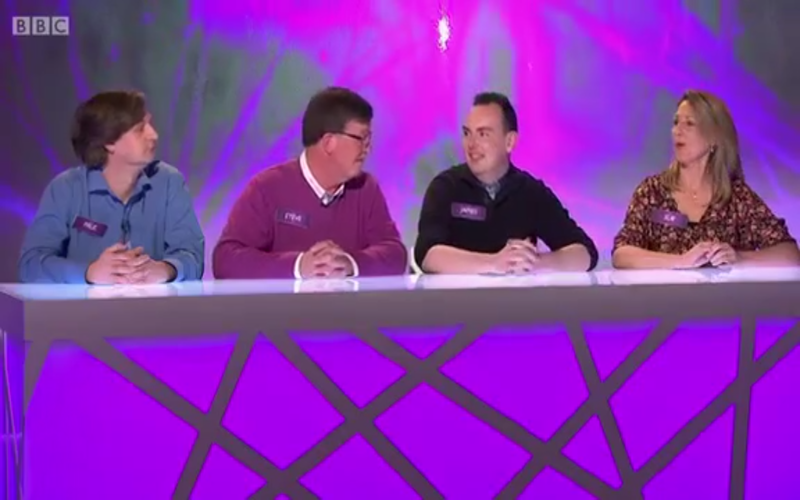 Overall, Beat The Brain is another excellent BBC quizzer whose simple, well-developed format with great variety does not require its contestants for viewers to have a wealth of general knowledge to perform well or to full enjoy the show — just a nimble and agile mind ready to take on the tough puzzles in each episode and see if each game’s brilliant teams can win the day’s top cash prize. The humorous interaction between The Brain and contestants, John Craven’s poised and easy-going demeanor as the show’s host and the play-at-home pair of puzzles and solutions shown at the top and end of each show helps gauges the viewers interest for the entire half hour. The only complaint I have about this show is the how the £3,000 jackpot is not evenly distributed. It would be a small improvement if the top prize were to be raised to £4,000 (like on NBC’s Scattergories) so each teammate would have a chance to walk away with £1,000 each. Other than that, check out Beat The Brain at your leisure and I promise you will not be disappointed. I predict a second series renewal for this mind-teasing game show. U.K. viewers, watch new episodes of Beat The Brain weekdays at 6:30pm BST on BBC Two! Next Post Quick Review of "Pontoon Payday"